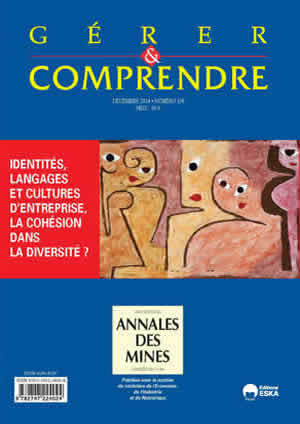 N° 118 - December 2014 - Identities, languages et corporate cultures: Cohesion in diversity? Can a corporate identity cross borders by borrowing the contemporary lingua franca, English? Deciphering organized crime: On Diego Gambetta’s La pègre déchiffrée: Signes et stratégie de la communication criminelle (Geneva: Markus Haller, 2014). The triumph of emptiness: On Mats Alvesson’s The triumph of emptiness: Consumption, higher education, and work organization (may 2013).